The online casino easyBet has been onto a winner since it was launched. Players are delighted with all of its live dealer games in particular those from Evolution Gaming. The easyBet site has almost all of Evolution Gaming’s games. 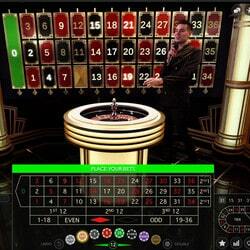 It has its most well known games such as Immersive Roulette, Baccarat Squeeze, Blackjack Party, Baccarat Control Squeeze and Speed roulette to name just a few. 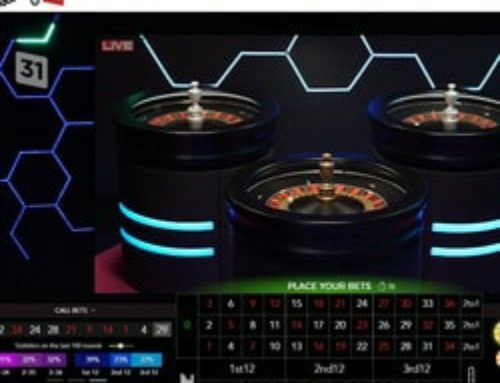 This developer offers a complete choice in online roulette tables and one table is really worth stopping at: Lightning Roulette. This table earns its name from all the lightning flashes that electrify the game and the whole profession! Lightning Roulette was voted Game of the Year 2018 at the EGR Operator Rewards.It is just reward for Evolution Gaming which is constantly innovating with these live traditional games. 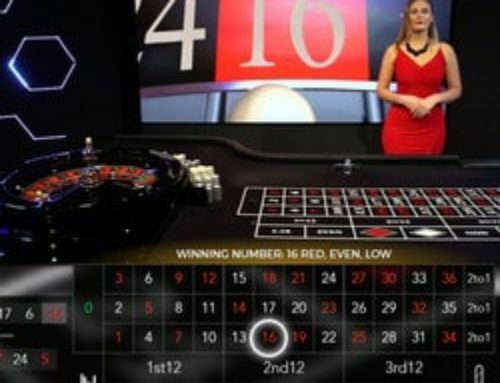 Live Dealers Casino explains how this online roulette, which is quite different to traditional tables, works. 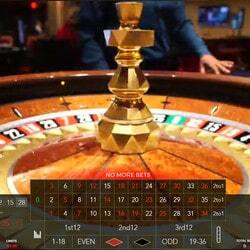 It’s easy to find the Lightning Roulette table among all of easyBet Casino’s games. This table stands out from traditional roulette tables. In this game, the dealer doesn’t sit behind a table but acts more as a host. So, standing in front of an enormous screen on which is a roulette table, the dealer puts on a show with a mike in his hand. With its flashes of lightning and well thought out production, this American style show is worth watching. The studio is made up of a roulette wheel placed in the middle , behind this the roulette table is on a giant screen and around the studio are transparent posts in which flashes of lightning light up the area. The decor is definitely sumptuous and the animation is pleasing. 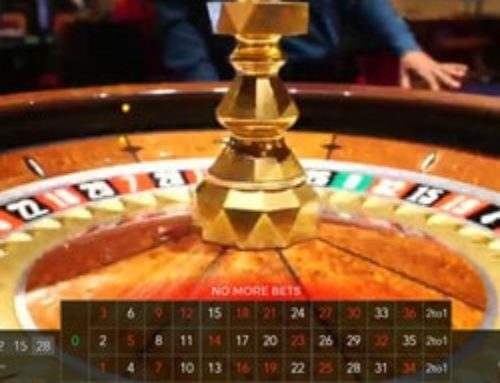 To start a game, the player places his bets on the numbers or combinations just like at other traditional roulette tables. The dealer activates a sort of switch which makes the numbers 1 to 5 appear each with a multiplier :x50, x100, x200, x300, x400 and finally x500. If the ball stops on a number with a multiplier, the player’s bet will be multiplied by that number. For example, a player bets 10 euros on number 14. The dealer activates the switch and number 14 has a coefficient of 500. 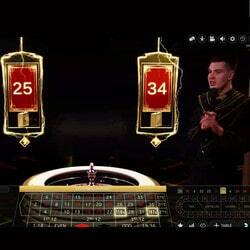 The dealer throws the ball and it stops on number 14, the player will win 5,000 euros! To win big, one has to be doubly lucky, that is to bet on the right number and also to have a multiplier linked to this number. It’s just a question of luck, nothing else. You can find the Lightning roulette table in easyBet Casino. This online casino has almost all of this live dealer leader’s tables. You’ll find the Lightning roulette game in easyBet along with many other games filmed live from several Evolution Gaming studios. 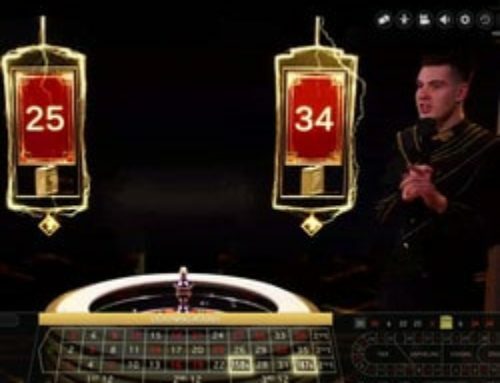 A leader in live dealer tables, Evolution Gaming launched the game with great ceremony during the ICE London congress in 2018. A huge success for this innovation, rewarded by the iGaming Industry. You can find this new generation, live roulette table in easyBet Casino.